Chickpeas are so versatile, so nutritious, so dang tasty (at least the way I cook them). A few weeks ago I soaked then cooked an entire pound of chickpeas. 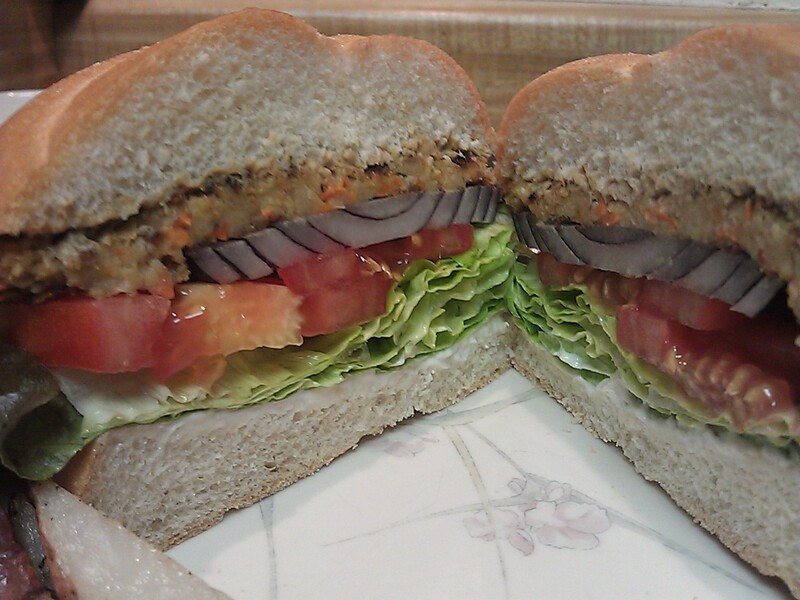 I made my favorite chickpea tuna salad, some soup, and then still had some left so I whipped them up into these deliciously savory chickpea burgers. 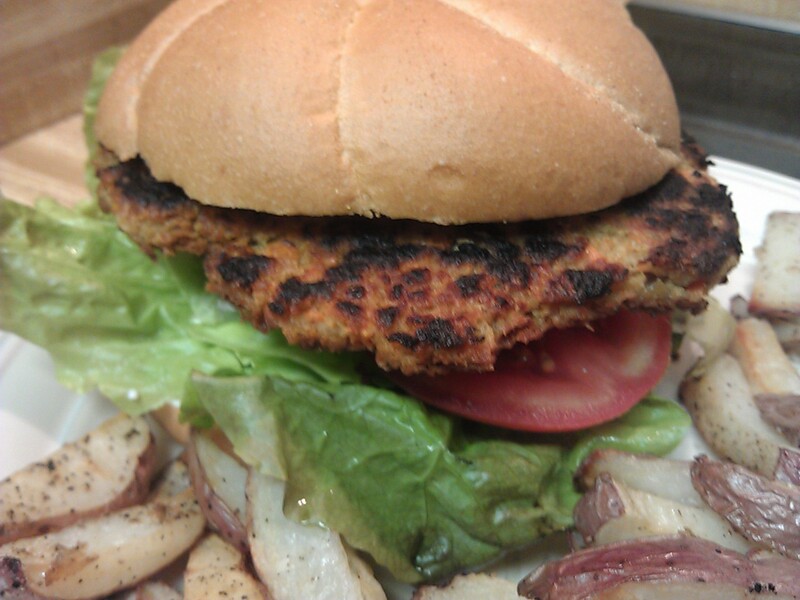 Chickpea burgers are notorious for falling apart, so be sure you use enough binding agent(s) to make your patties firm. You also want to avoid making the patties too thick because you want them to get firmer when cooking, with crispy edges and exterior. I shape mine to be no more than 1/4″ thick. This recipe makes 4 patties for the extra-large buns we use, or 6 for the normal sized burger buns. Add your usual burger toppings and favorite side(s) for a truly delicious but still healthy vegan meal. We had ours with oven baked red potato strips. Delicious, nutritious, and extremely tasty meat free entree. These easy to make and flavorful chickpea burgers whip up in minutes. Serve with your favorite burger toppings and a side salad, fruit, oven fries or a combination thereof! Burger toppings: Sliced tomato, red onion, pickles, lettuce, relish, mustard, vegan mayonnaise, vegan cheese, etc. 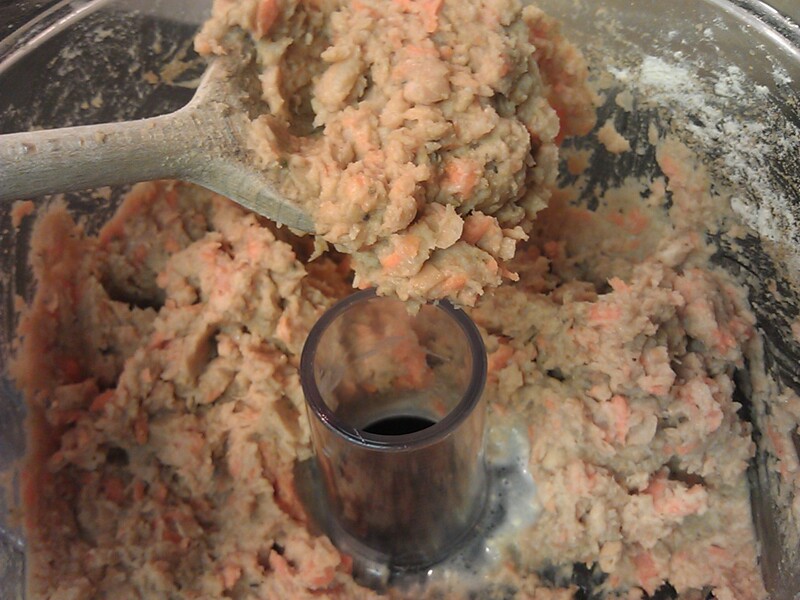 Place garlic, carrot chunks, and green onions into food processor and pulse until small chunks form. Push down with spatula. Add in chickpeas, egg replacer, chickpea flour and spices and pulse 8-12 times until chunky paste forms. Push down as needed. Place a few teaspoons of oil in non-stick skillet and heat over medium. When oil is hot place 1-2 shaped patties (made to match size of your buns) in oil. Cook until a crispy golden brown coating forms, then turn carefully and repeat on opposite side. Remove from pan and place on paper toweling. Keep cooked patties warm until all burgers are cooked and ready to serve. For more great recipes check out my award winning cookbook. 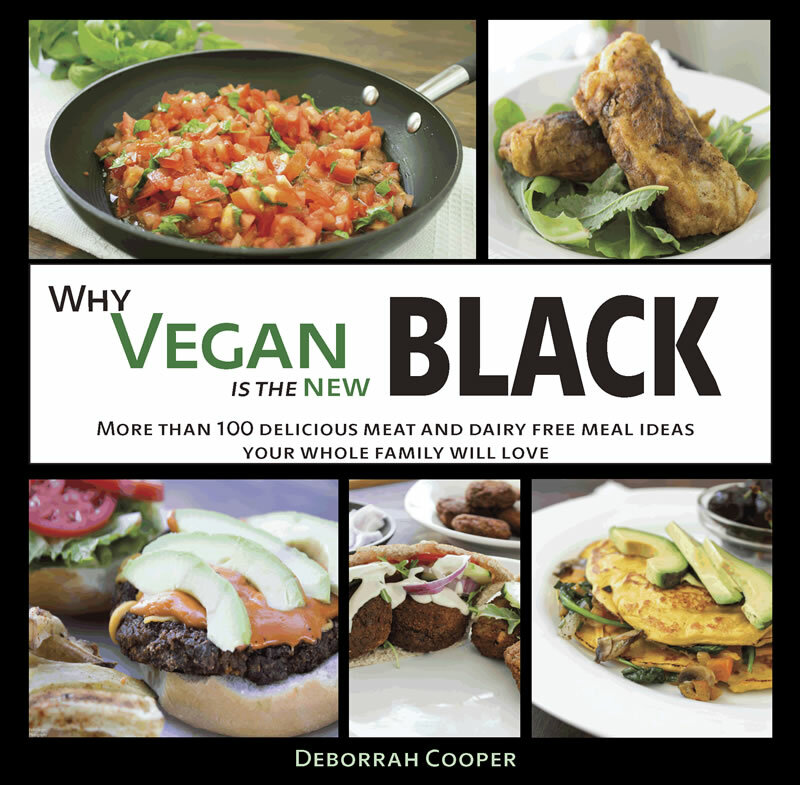 Log onto www.whyveganisthenewblack for more information or to order.